We all know from our school history courses that Christopher Columbus “discovered” the New World in 1492. This seems to be undoubted by many for the most part; however, it still doesn’t imply that Columbus was the first person to set foot in the Americas. There were other explorers who reached the continents before him and whose names were eventually lost to history. And this recent discover lends more proof to that. We all know the indigenous Native American Indians were the first people to have lived in the Americas before being eventually populated by settlers.. And there’s a whole nother’ article about this topic that we will leave to be written for another time for now. Certain theories suggest the New World was actually ‘discovered’ by the Vikings, the Polynesians and the Chinese who arrived before Columbus. But none of these theories is as ‘radical’ as the new hypothesis that claims the ancient Romans were the first non-indigenous people who visited the Americas more than a thousand years before the “official” version of the discovery in 1492. Moreover, there is evidence to confirm this claim – a group of researchers led by Jovan Hutton Pulitzer discovered a sword off the Oak Island in Nova Scotia, Canada, which, according to them, could be of Roman origin. They say this find is an indication that the ancient Romans arrived in North America around the first century or even earlier. Pulitzer’s team has studied the sword with the help of an XRF analyzer, a tool archaeologists use to analyze metals. 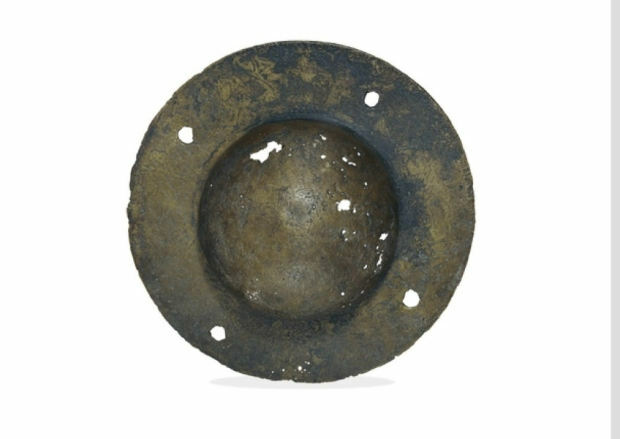 They found that it had the same metallic properties as some other Roman artefacts. “It has the same arsenic and lead signature in it. We’ve been able to test this sword against another one like it and it matches. This goes against everything we have been taught,” Pulitzer told the Boston Standard. Moreover, Pulitzer and his team have some more arguments to support their claim. 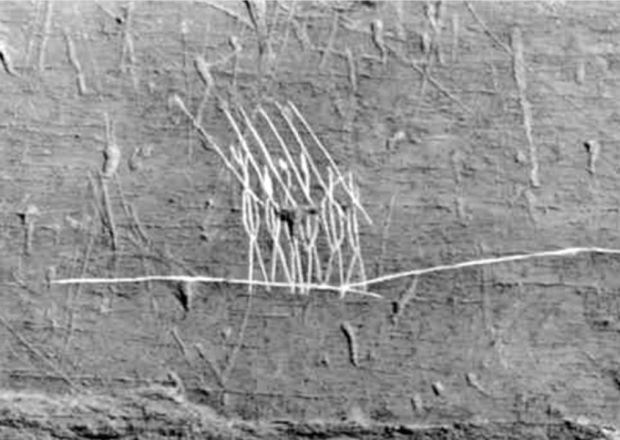 For example, certain images carved by the Mi’kmaq people, a tribe indigenous to Nova Scotia, on cave walls in the region seem to depict Roman legionnaires holding swords, according to the team. There are also two carved stones on Oak Island which, according to Pulitzer, “possess a language from the ancient Levant” (the eastern Mediterranean). The connection between the Mi’kmaq and the ancient Levant is also confirmed by the DNA analysis. “The Mi’kmaq carry the rarest DNA marker in the world which comes from the ancient Levant. You can’t screw with DNA,” Pulitzer said. 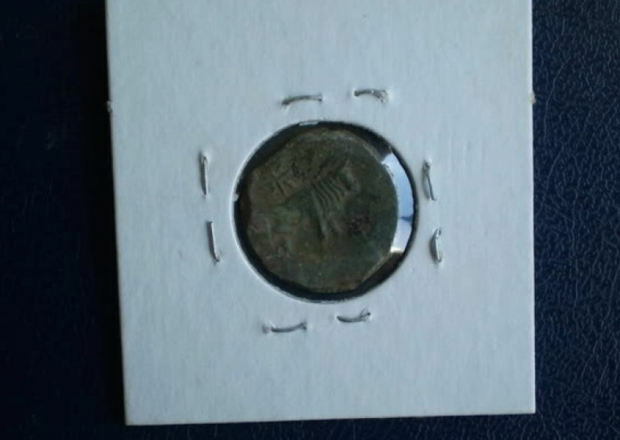 Among some other artefacts that support the team’s theory are a Roman shield ‘boss’ found in the mid-1800s in Nova Scotia, a Roman legionnaire’s whistle discovered on Oak Island in 1901 and a Roman head sculpture unearthed in Mexico City in 1933, as well as Gold Roman Carthage coins found on the mainland near Oak Island. Finally, Pulitzer says the presence of an invasive species of plant known as Berberis Vulgaris on Oak Island could also indicate that ancient Romans once visited the Americas, as this plant was commonly used by ancient mariners as a spice for food and a remedy for scurvy. While Pulitzer and his team are quite sure about the accuracy of their claims, mainstream historians tend to dismiss this kind of finds, saying that these artifacts could have been dropped by modern collectors. At the same time, mainstream science seems to be unable to debunk Pulitzer’s theory, so the question of who was the first to discover America still remains open. “The problem is, to rewrite history it would mean rewriting every textbook and university course in the world. That’s the detriment. I think anything that challenges history is very risky, very dangerous and extremely political. But I think the world has matured and history may force politics to mature,” Pulitzer concluded. Native American PROPHECY Of The COLLAPSE of AMERICA Is Dead-On!